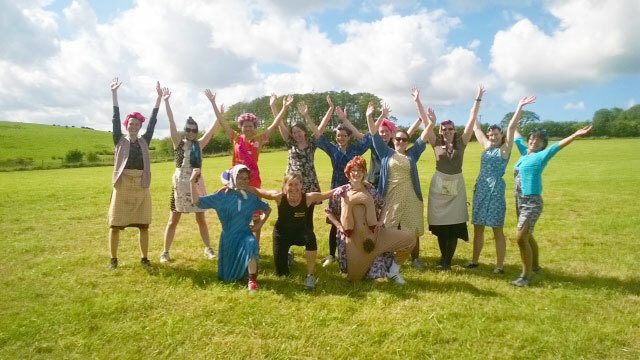 "Thank you Ursula for making our Hen Party so fun and memorable with your outdoor Boot Camp. 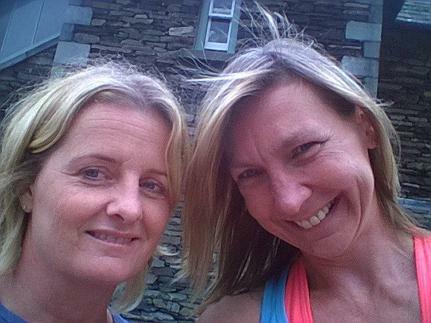 If I ever move to Ambleside, I will definitely be taking part in your classes"
"I am so happy with the results I have achieved with Ursula over a year. I have lost 8 kilo's and 6 inches from my waist but most of all I feel so full of energy. She is always inventing new workouts that keep me coming back for more!" Clare Fish, Far Sawrey, Cumbria. PT Client. "Last week I completed my first trail marathon. 3 years ago, I was out of breath walking a mile. I could not have done this without Ursula's energy and inspiration"
"Ursula is a miracle worker. I feel fitter than I ever have!" "I lost nearly 10lbs after a year of personal training with Ursula, I now focus on my fitness and have grown so much in confidence after 3 years PT that I just competed an ultra marathon. I have never felt fitter! Ursula has given me the confidence to do things I'd never dreamed I could do". Peta Rowand, Langdale, Cumbria. PT Client. "I had always wanted to take part in a running race. 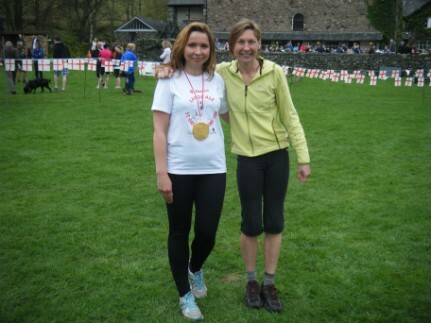 When Ursula suggested the 10k St Georges run in Langdale, I thought she was crazy, but I did it. It was one of the most emotional days of my life. I could not have done it without Ursula's motivation, fitness training and belief in me". Marina Williamson, Bowness, Cumbria. PT Client.